Google Plus is a social network, not a tracking service. Google Plus is more than a social network. It’s an identity service. That’s why Google hasn’t seemed particularly bothered when people rag on Plus for being a backwater, or push back about forced Google Plus integration. Google gets a lot out of information out of knowing who you are when you create content online and do other Internet-y things, and it’s not giving that up. Before Google released Plus, the company might not have known that you were the same person when you searched, watched videos and used maps. With a single Plus account, the company can build a database of your affinities. But Horowitz isn’t really admitting anything. Google has been up front about this strategy for 10 years, which in tech time is pretty much an eon. It’s true that since Plus came on the scene in June 2011, Google has focused significant development power on integrating data from Plus so it can sell more targeted ads and figure out whether you’re searching for Owen Wilson the celebrity or Owen Wilson your high school friend. 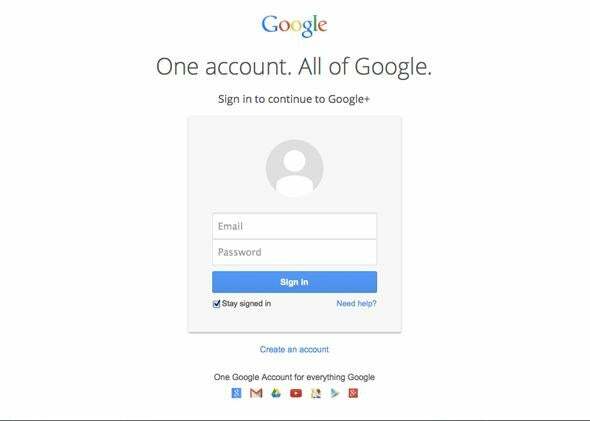 But Google was on to you long before Plus ever came along, and your central Google login could endure if Plus were to suddenly disappear tomorrow. When you sign up for a Google Account, we ask you for personal information. We may combine the information you submit under your account with information from other Google services or third parties in order to provide you with a better experience and to improve the quality of our services. You may access some of our services by signing up for a Google Account and providing us with some personal information (typically your name, email address and a password). This account information will be used to authenticate you when you access Google services. If you have an account, we may share the information submitted under your account among all of our services in order to provide you with a seamless experience and to improve the quality of our services.